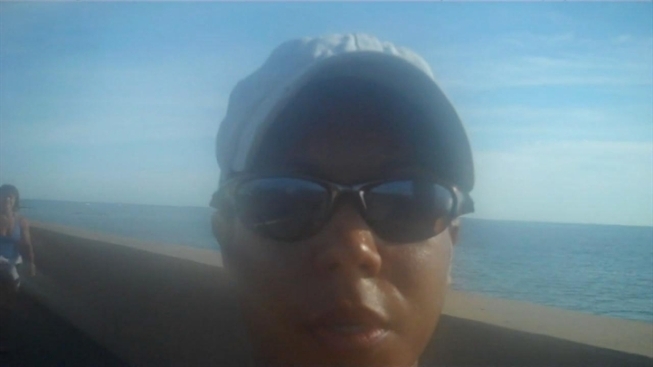 This installment of The Marathon Diaries is a little different because I was on vacation with my family in Martha's Vineyard. Happily, I managed to not fall completely off the training wagon while I was there this past week. Coach Sid gave me a break from training because he thought it was important for me to enjoy the time with my family, but I didn't want to completely ditch the program and have to dig myself out of a ginormous post-vacation fitness hole. It was my second time at the Vineyard, and it is truly a special and inspiring place. Everyone was out and about, by land and by sea, bicycling, running and swimming the in the phenomenal ocean. The island was alive with healthy, active, positive energy, and you just wanted to get up and go be a part of it. So I did. I did two long runs -- about 80 minutes -- and was careful to take it slow. I ran in the grass as much as possible. As lovely as the running and bike trails were, they were concrete, and concrete is like kryptonite on the knees. You want to stay off that stuff. My 37-year-old knees were creaking just thinking about it. I also found a gym (couldn't stay away!) and did some indoor cycling, weights and core work. I also brought my wet suit and did a little swimming in the ocean. Gotta say, the saltwater and air kicks -- and does amazing things for your skin and breathing. So it was a pretty good week, workout-wise. I'll admit I did take part in eating some "bad" food that was oh-so-good (I mean, you can't come to the Vineyard and not eat Mad Martha's ice cream or Murdick's fudge), but all in moderation. First, I truly appreciated that I could take my fitness with me, that I could stay on my program and experience running in a new vibrant place while balancing time with my family. Second, related to the first, I got a chance to run with my niece. I've been wanting to do a little running with her, as I recognize she is a natural athlete -- she's very tall, with her height all in her legs, and very strong. She was excited to run with me, as she had been watching me take off in the mornings for my own runs. Not clearing off a place on the mantel for the gold medal just yet though -- right now, we're working on getting all relevant limbs moving more or less in the same direction. We will get there. But in the meantime, it was really great to share the moment with my niece. We had a lot of fun. I hope she will remember it. I know I will. Third, as I was out there sweating in the sun, it was great to know I wasn't alone out there. Friends and entire families were out in the sun and surf, truly living! On my last day, I ran past a group of African-American people in the ocean in a circle doing exercises. After my run they had finished and I stopped to get more intel. "Excuse me, what group is this?" I asked a very attractive, very vibrant female member of the group. "We're the Polar Bears," the woman responded. Turns out this group has been around for decades, and this woman, Jonnie, had been a member since the 70s. I asked her if she was a founding member, to which she replied, "Now honey, I'm not THAT old." And we shared a laugh. I asked her how old she was if she didn't mind telling me. She's 79 -- and still foxy! Unbelievable. She eats well, takes care of herself, and is active every day. Mad cool. Turns out she lives in my neighborhood, so we will be reconnecting when we're back in the city. Now THAT's inspiration. After our interaction, I ran just a little faster. We are looking forward to kicking it with Sid for the next installment of The Marathon Diaries.